Prepare to indulge in the endless excitement of gem swapping and monster hunting as you step into the dangerous dungeons in Gems Warfare! 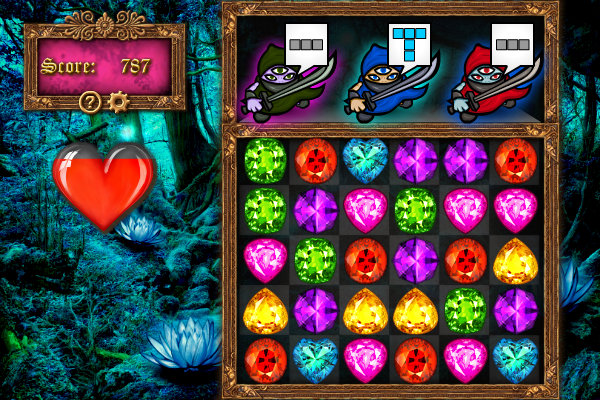 Your goal in this game is to drag the gems to form the patterns shown above the monsters to destroy them. When the game starts, 30 gems of different colors will be divided into 5 rows in the play area. A number of monsters will appear above the play area, and above each monster a specific pattern will be shown.